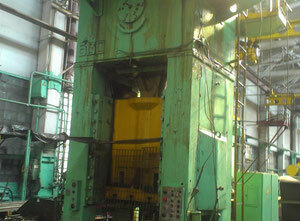 The mechanical/hydraulic press belongs to the category of foundry machines. 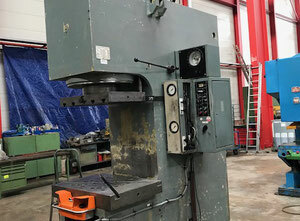 This machine allows the user to shape a metal workpiece. 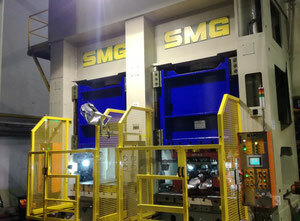 It’s very often used as an extension of the sheet metal process. 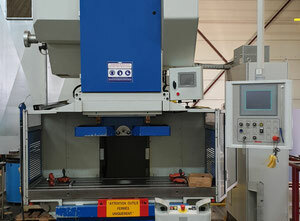 The machine produces energy and uses a powerful punch to give new shape to a metal workpiece. 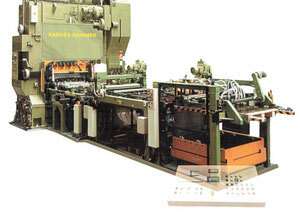 Its purpose is to partially or completely separate parts of the sheet to obtain the desired shape and/or prepare for another operation, such as folding or stamping. First, the sheet is grassed and then placed on the matrix. The blank holder comes to rest on the workpiece, pressing and stabilizing the blank. Next, the punch deforms the sheet metal workpiece by pushing it against the bottom of the matrix. 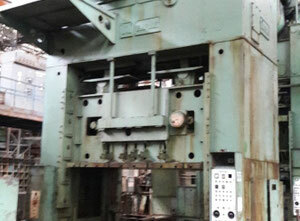 The workpiece now has its final form, and the punch can be raised in order to remove the workpiece. Even though they have the same purpose, a mechanical and a hydraulic machine do not work in the same way. 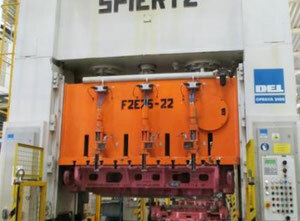 The mechanical press works by using a connected crankshaft that will cycle the ram. 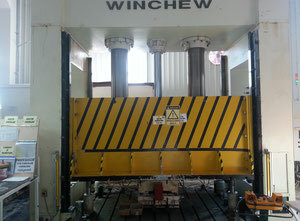 The hydraulic press works by using pressurized hydraulic fluid. This equipment is very polyvalent and has a very powerful pressure, high precision and fast production speed. It allows users to create precise shapes with very slim sheet metal rolls. 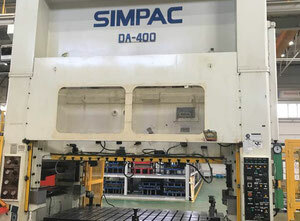 However, this machine is often quite expensive due to its high level of quality and the fact that it can operate in various shapes and metal sizes. You can also narrow down the results based on the location of the machine, year of the machine and the machine’s manufacturer. 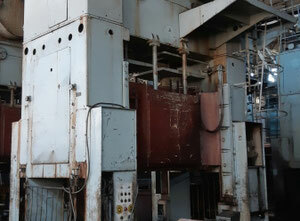 This machine is often used after the sheet metal process. 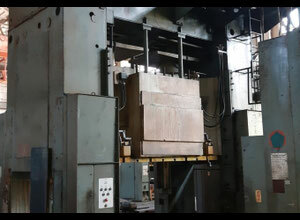 A mechanical/hydraulic press is often part of a longer production process. 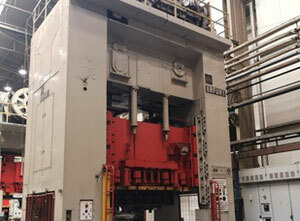 The machine is often used in areas where it is necessary to build complex shapes such as the automotive, foundry, aeronautical, and chemical industries. 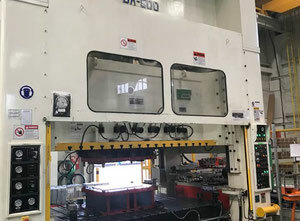 Although this equipment is usually used in metal production, it’s also possible to use this machine in the plastic and cemetery industries for example. 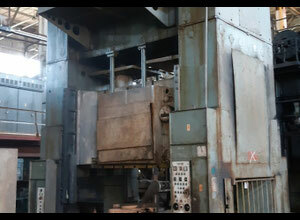 The current Exapro catalogue has more than five hundreds used mchanical press for sale. 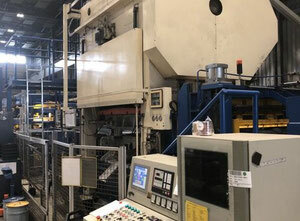 In our catalogue, Exapro has some of the highest quality international manufacturers, such as bruderer mechanical/hydraulic presses, Muller presses, Erfurt presses, and many other popular products such as the Dirinler CDCS 800P81 metal press, and the Dnepropress DB2240A metal press, You can find these used machines for an affordable price in our catalogue. Don't hesitate to check our catalogue for used machines and contact an Exapro agent if you have any questions. It’s also possible to sell your used machine(s) with Exapro.